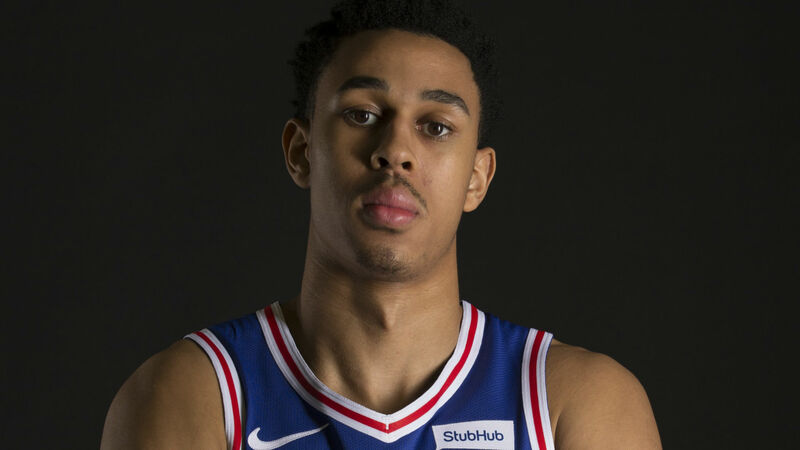 76ers rookie guard Zhaire Smith is not expected to return in 2018 as he is dealing with complications from an allergic reaction, according to philly.com. The team released a health update Friday, explaining the additional medical treatment that the rookie recently received. "Smith is recovering well after receiving additional medical treatment for complications derived from the allergic reaction that initially required a thoracoscopy," the statement read. "His return to athletic training has yet to be determined and as such, there is no timetable for his return to play." Smith already was sidelined after having surgery over the summer to repair a fracture in his left foot and he was expected to return sometime in December. While he was recovering, though, Smith had a food-related allergic reaction in September that required him to have a thoracoscopy, according to philly.com. Smith, 19, is recovering well from his initial foot surgery, but the complications from the allergic reaction will delay his return. Philly.com reports complications from the original thoracoscopy procedure have kept Smith from eating properly and resulted in weight loss. He hasn't been able to return to any "intensified conditioning." Smith originally was selected by the Suns with the 16th pick in the 2018 NBA Draft, before being traded to Philadelphia for Mikal Bridges.